The SA-50 impresses with its balanced signature, great resolving power and immense passive noise isolation. 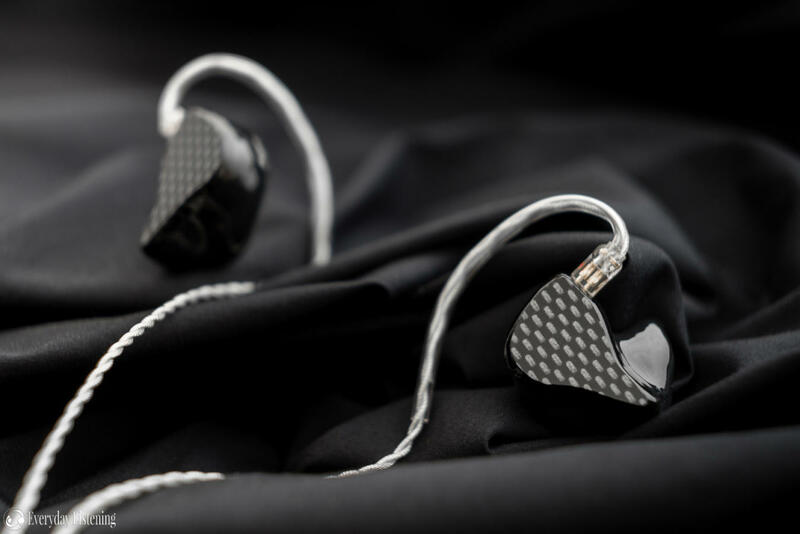 Hailing from Norway, M-Fidelity has developed a devoted cult following with their custom in-ears and reference-style tuning. Their SA-50 represents the latest and most premium model in Alf’s SA line of earphones. It forgoes the sound tuning switches of the SA-43 before it but introduces an additional driver, 5-balanced armatures in total. It was tuned with balance and detail retrieval in mind and implements a 4-way passive cross-over in addition to anti-resonance sound tubing in order to achieve this. The SA-50 comes with a slightly increased asking price of NOK 7990, or around $1000 USD. You can read more about the SA-50 on M-Fidelity’s Facebook page and order a pair for yourself here. I would like to thank Alf from M-Fidelity very much for his quick communication and for providing me with the SA-50 for the purpose of review. All words are my own and there is no monetary incentive for a positive review. Despite receiving the earphones free of cost, I will attempt to be as objective as possible in my evaluation. M-Fidelity have no online customizer, instead, every order is configured through a form available on M-Fidelity’s website to be mailed with the buyer’s ear impressions. M-Fidelity have a handful of options with 4 aesthetic options; engraving, shell, faceplate and cable. Users are also able to choose between a fixed and removable cable in addition to silicone filling that provides additional noise isolation. It’s an efficient process overall and though there’s no real-time visualiser, Alf provides photos of most combinations on his website. The level of customizability is substantially more limited than most competitors but all of the more popular colours and materials are available. The M-Fidelity earphones have a nice accessory set, convenient for travel and with extras to keep the earphones at optimal performance. They ship within a large zippered hard case with faux carbon-fibre texture. Inside is a more pocketable hard case containing the earphones themselves. Another compartment houses the other accessories, a shirt clip, cleaning tool, replacement nozzle filters and a tool to replace them. Basic papers detailing the specifications and correct steps to replace the filters lie within the top compartment. The M-Fidelity earphones are only offered in acrylic and their fit, like any custom, depends on the ear moulds provided. Unfortunately, my first set of moulds were slightly off, however, Alf was quick to build a new set with some revised ear moulds. In both instances, the build process took just over a month and I received frequent updates including photos of Alf’s progress, terrific stuff! The SA-50 exudes a more hand-finished quality than most custom in-ears, serviceable but far from perfection. Even on my opaque review unit, small bubbles were apparent along the surface and there was a very visible and palpable seam running along both faceplates. That said, I didn’t find any of these imperfections to compromise seal and all edges were nicely smoothed to aid comfort, these are simple aesthetic annoyances. Ergonomically, the most notable aspect of the SA-50 is its long nozzles that extend a few millimetres further than my other customs. In addition, the earphone’s two sound tubes protrude from the end of the nozzles as opposed to most competitors that have a recessed output. It should also be noted that the SA-50 has protective metal filters fit to each sound tube, a thoughtful addition not included on many custom in-ears that should help to extend their lifespan. A tool is included in the box in addition to replacement units should they become damaged or blocked. The SA-50’s design is, no doubt, ideal from an acoustic standpoint, minimising ear canal resonances, however, Alf does compromise perfect comfort to achieve this. Over time, my ears did adjust, but the SA-50 never quite disappears in the ear like Custom Art’s more smoothly sculpted designs to name one example. Still, no hotspots formed and discomfort never pushed me to remove the earphones. Furthermore, isolation is almost perfect as a result of their deep fit. I also opted for the silicone filled shells, another option unique to M-Fidelity, that provides a slightly denser feel in the hand and further increased isolation compared to hollow units. The SA-50 is, therefore, ideal for frequent travellers and attenuates noise to an almost dangerous degree during daily commute. Should buyers opt for a removable cable, and I highly suggest you do, the SA-50 will come equipped with the highly popular 0.78mm 2-pin connector system. They’re not recessed, permitting use with a wide range of aftermarket cables and very firmly hold the attached cable, ensuring no lost earpieces and reliable audio. The stock cable is a fairly standard 4-wire braided unit. It’s flexible with memory wire ear-guides but also fairly thin. Only the colour can be altered and all cables are terminated with a right angle 3.5mm plug. I would recommend the beige, black or grey cables as the transparent cable oxidises and greens fairly quickly.